Our message is not ourselves. Jesus is Lord. One day all of creation will acknowledge and praise him. But for the people around us to praise Jesus today, they need to see him alive in us. We serve others in Jesus' name. We are his body — his hands of compassion, his heart of mercy, and his voice of tenderness. 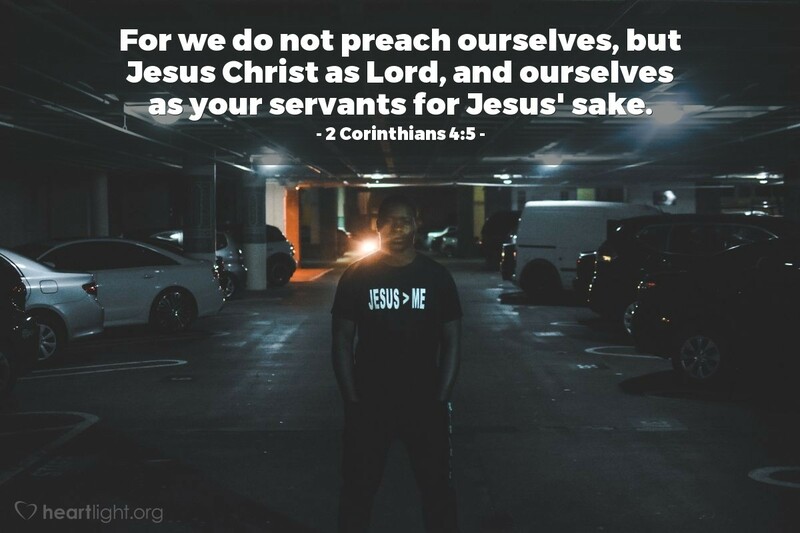 So let's lift up Jesus — not just by telling others about him, but serving others as his presence in the world. God of grace, thank you for the privilege of sharing your love with others. Thank you for saving me FROM my sin. Thank you for saving me FOR service to bless others for Jesus' sake. In the name of Jesus, my Savior, I pray. Amen.